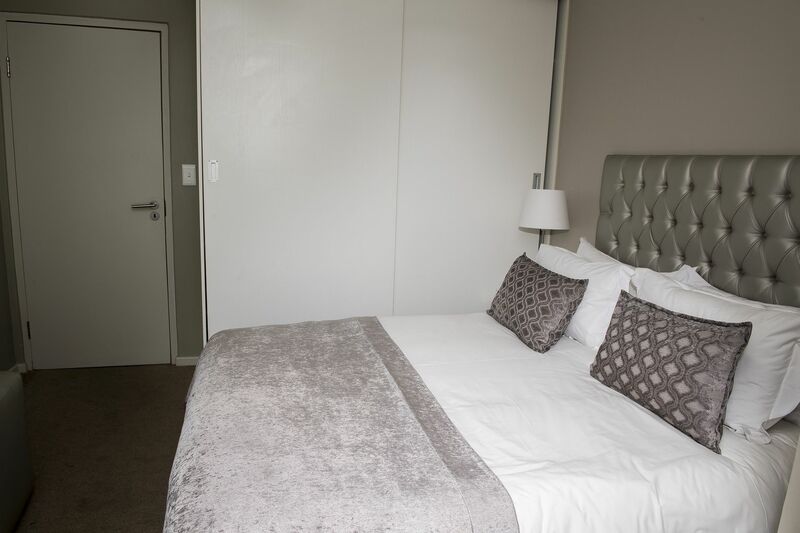 Aquarius Premium Three Bedroom Suite has two bathrooms. 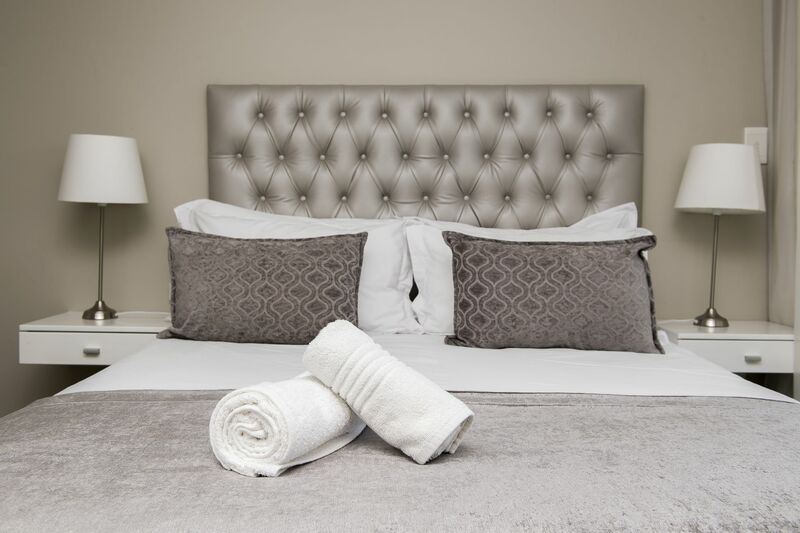 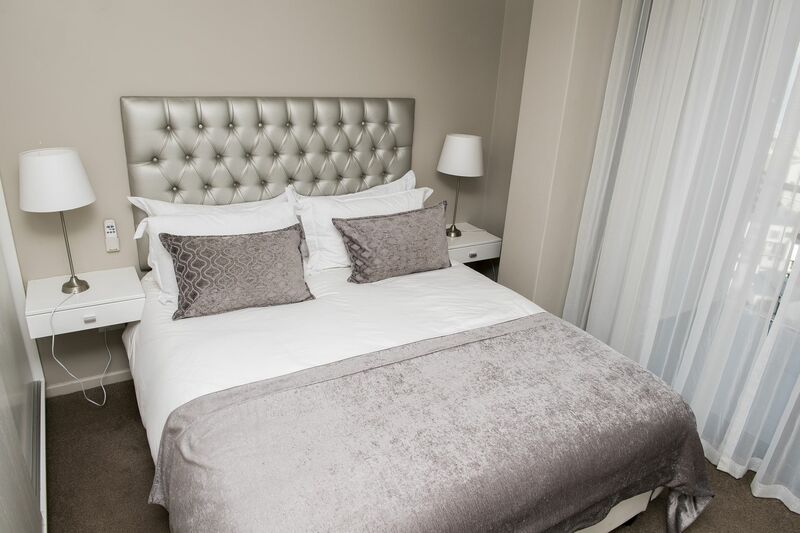 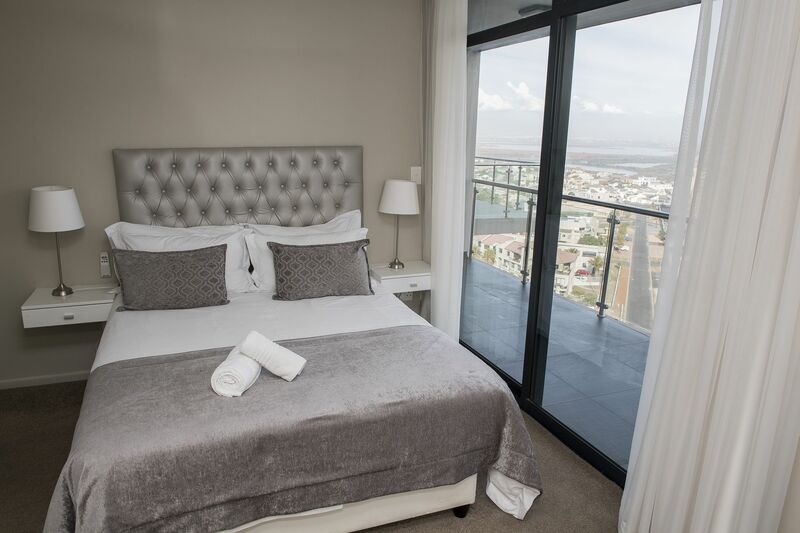 Main bedroom has a double bed and en-suite shower (ocean and Table Mountain views from the bedroom). 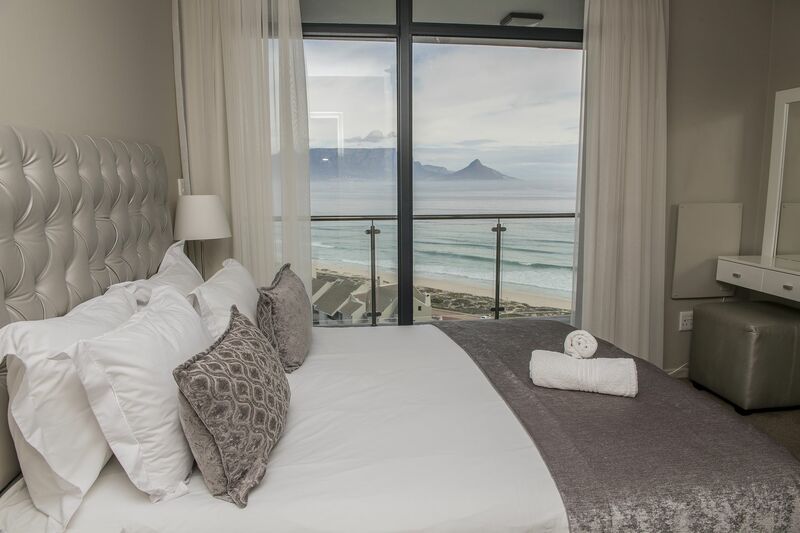 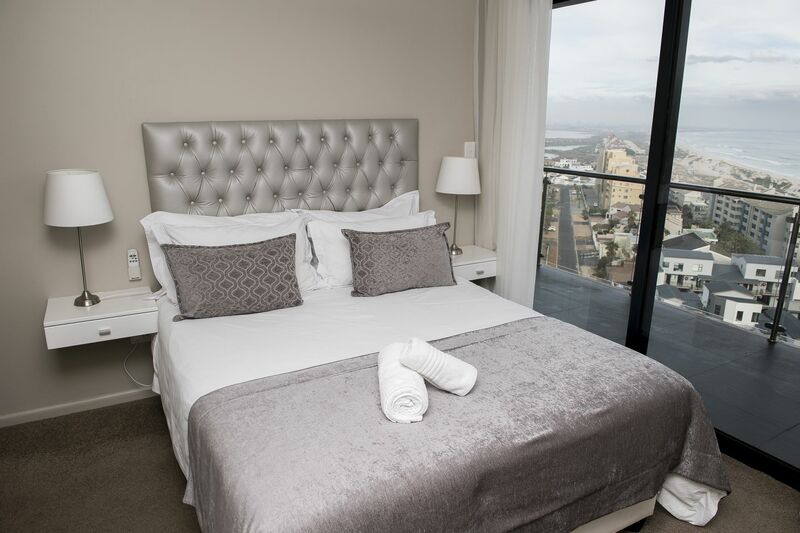 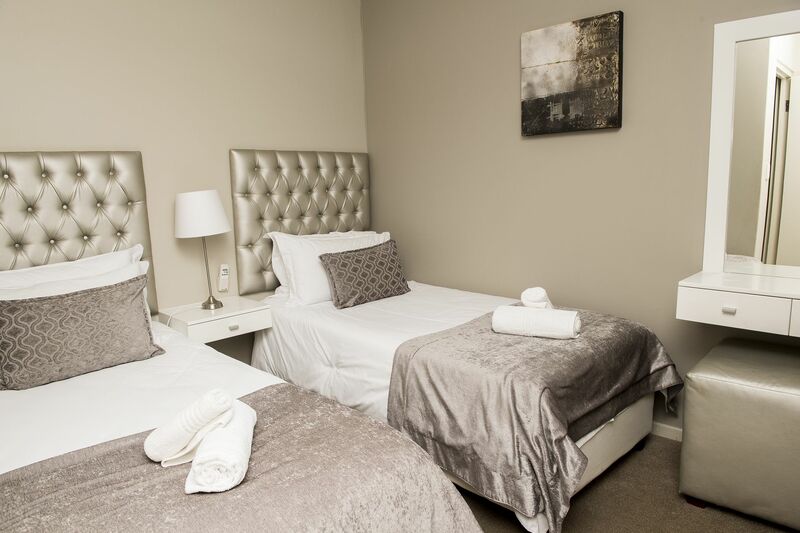 Second bedroom has a double bed with balcony (ocean and Table Mountain views) and third bedroom has twin beds. 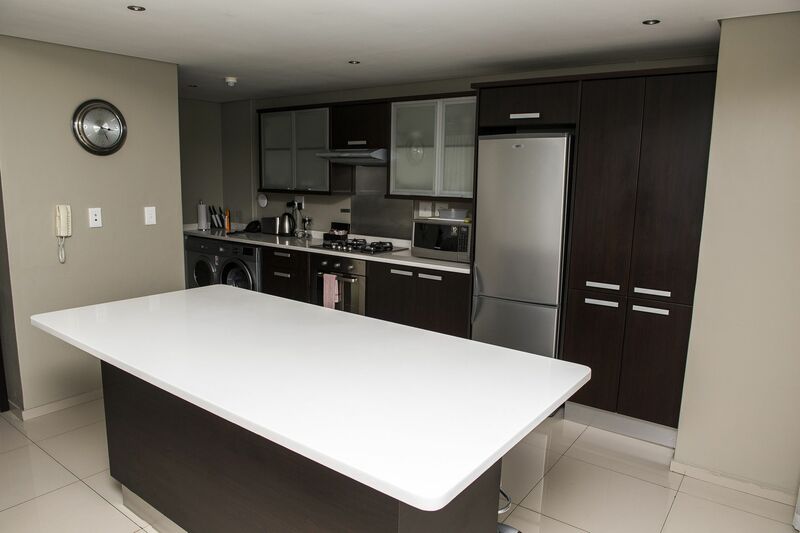 Self catering apartment includes a kitchen, very spacious living area, and a balcony. 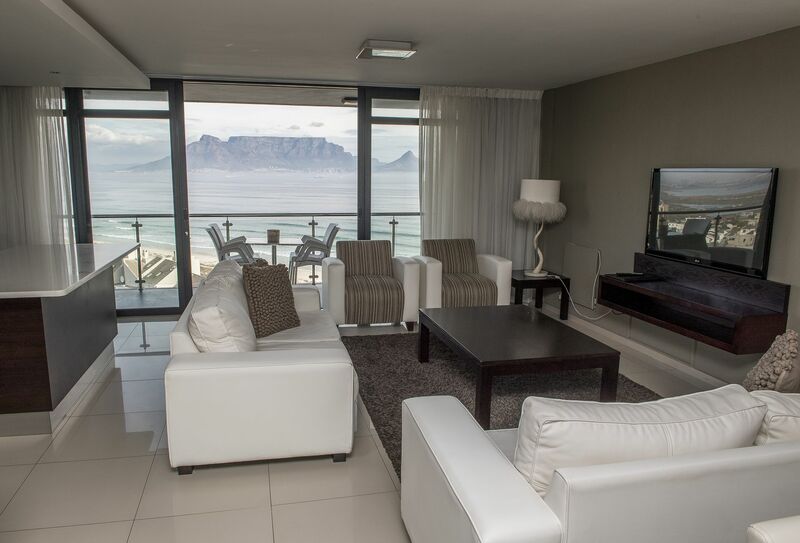 The lounge and balcony overlook the Table Mountain and the ocean. 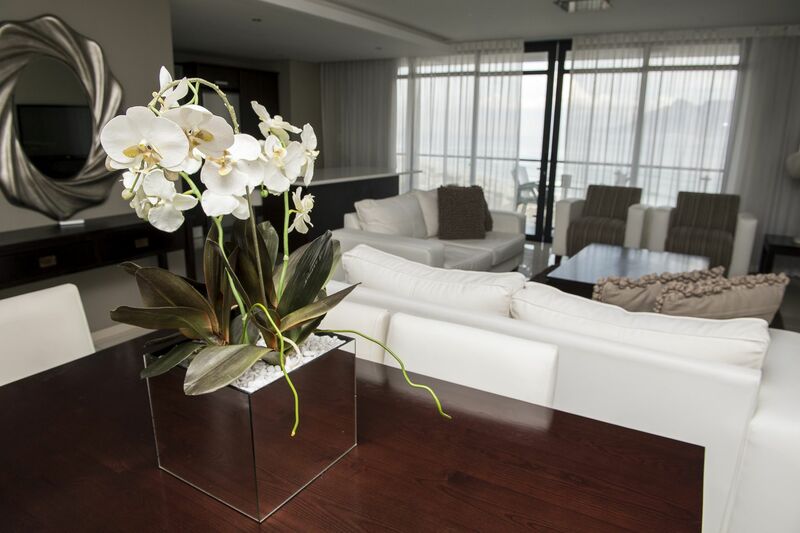 Premium Suites are located on 9th, 10th and 11th floor and offer unspoiled view. 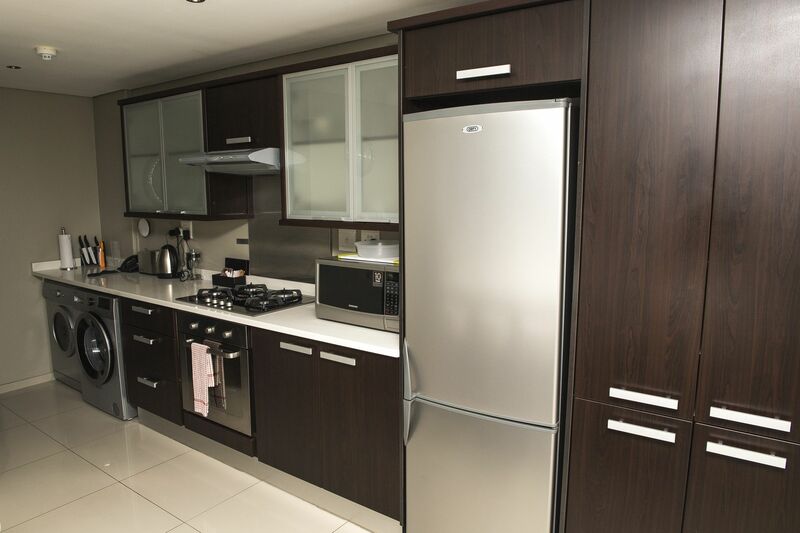 For longer stay contact us for a tailor made quote. 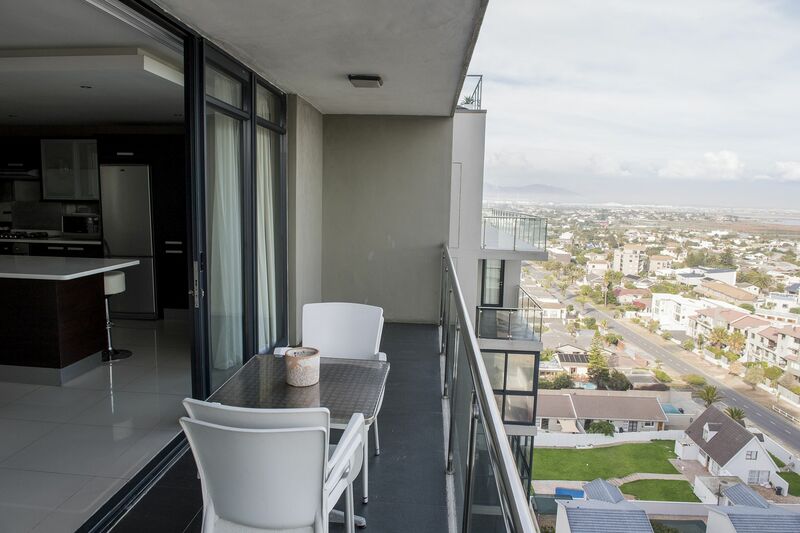 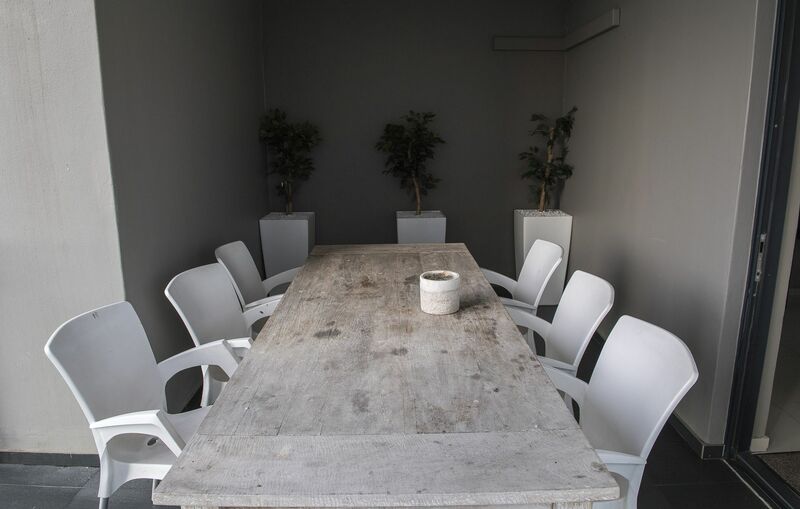 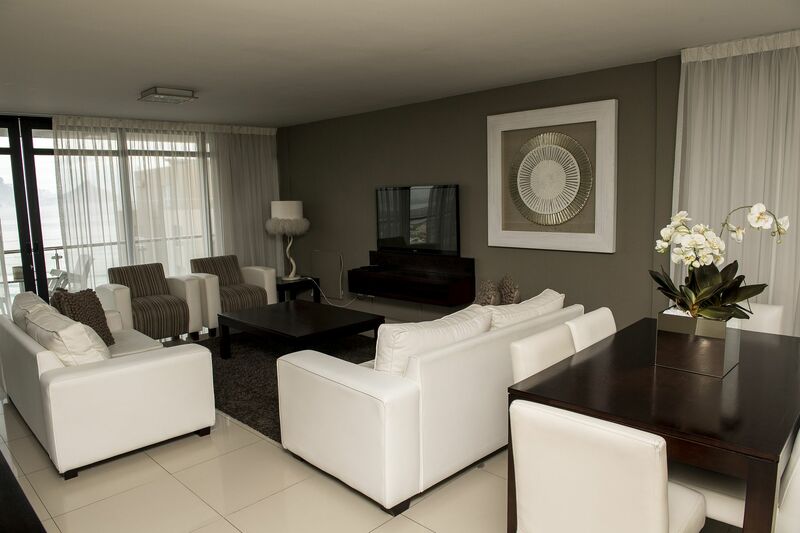 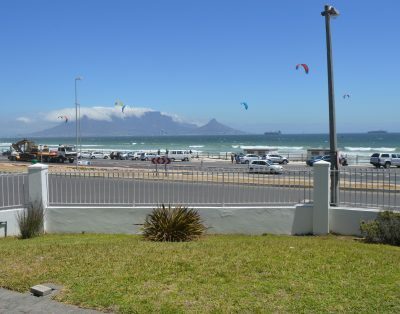 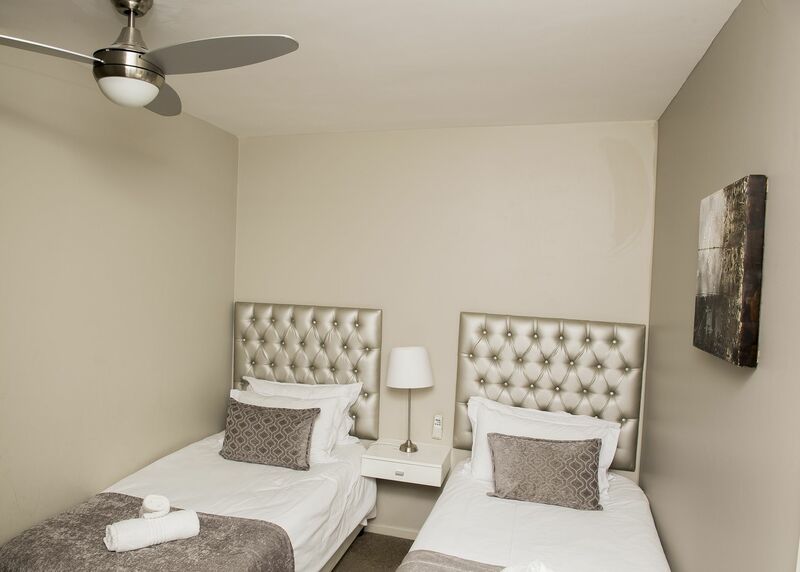 Located 200 m away from the main kitesurfing beach and in the center of Blouberg, Aquarius offers 40 self catering apartments with hotel service. 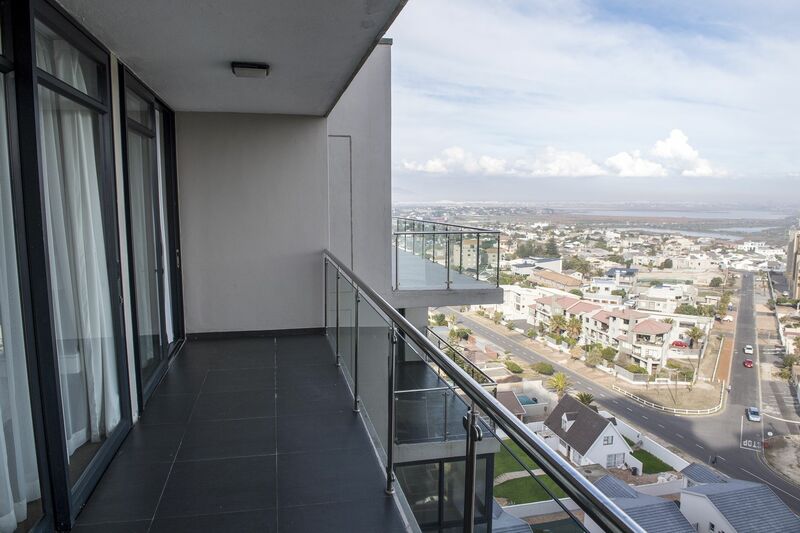 All apartments have private balconies with ocean or mountain views. 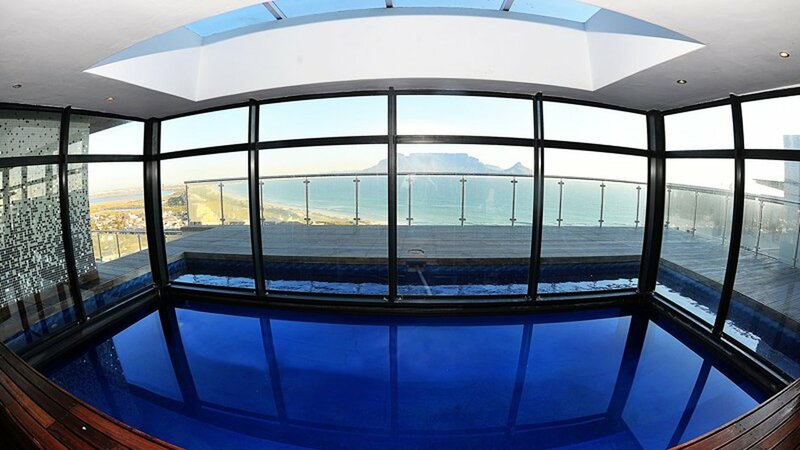 High rise building features a terrace with an outdoor pool. 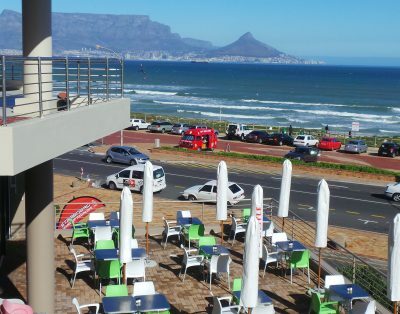 There are many restaurants near by.